What Are Qualified Expenses For A 529 Plan (And What Doesn't Count)? Home » What Are Qualified Expenses For A 529 Plan (And What Doesn’t Count)? Opening a 529 plan to save for your child’s college expenses can be a great way to build savings while reaping tax benefits. Some of the benefits of a 529 plan include tax free growth and tax free withdraws if the money is used for "qualified education expenses". But one thing that stops many would-be 529 owners is understanding what exactly a 529 plan will cover - what exactly are qualified education expenses? If you’ve been considering opening a 529, here are some common qualified expenses you should be aware of. We also go into depth on some of the non-qualified expenses that people sometimes get mixed up and "think" they do qualify. Make sure you don't fall into that trap. 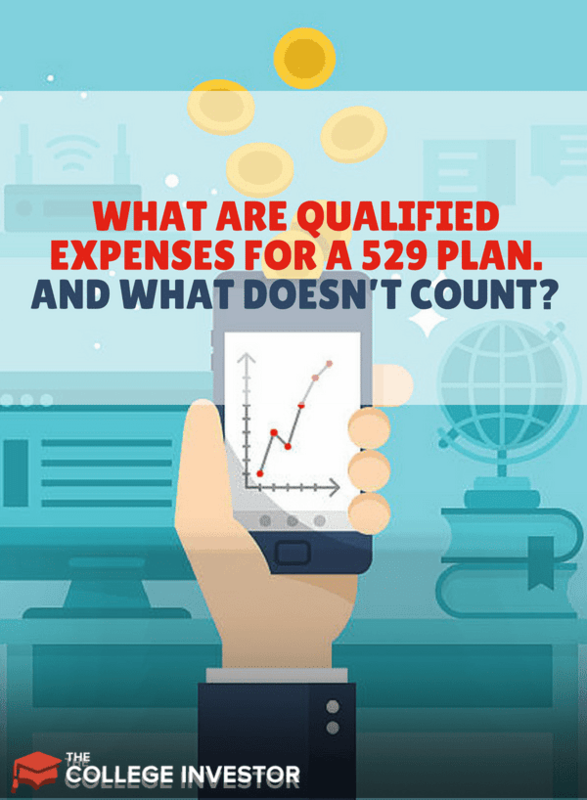 What Happens If You Use A 529 For A Non-Qualified Expense? How Do You Withdraw Your 529 Plan Funds? So, Is A 529 Worth it? A 529 plan only covers expenses that are related to post-secondary education (see below for using a 529 plan for elementary education). However, there are rules. Most qualified expenses cannot exceed the cost estimates made by the school that the 529 beneficiary will be attending. Typically the school’s financial aid office will mail this to students or post it on their website. For example, you can find the estimated cost of attendance for UCLA here. Tuition – Tuition is a qualified expense for both full and part time students at accredited institutions. To be accredited simply means the college or university has passed standards set by a reviewing committee. While the majority of colleges are accredited be sure to ask the financial aid office ahead of time. Room and Board – If the student is attending college half-time or more and the room and board are paid directly to the college or university this is a qualified expense. If room and board are to be paid to a landlord and grocery store, the budget is set by the school and is available to students who are attending half-time or greater. If the rent paid to a landlord is higher than the school’s room and board estimate the excess is not considered a qualified expense. For example, using our UCLA estimated cost above, it’s estimated that it will cost $9,800 for room and board off campus. That means that you cannot use more than $9,800 per year from your 529 plan to be “qualified”. Technology Items – You can use a 529 plan to cover technological needs such as computers, printers, laptops and even internet service. These items must be used by the plan beneficiary while enrolled in college. You can also use this to get software that’s required for school – for example, maybe you need to install Microsoft Word or Adobe Photoshop to get the right tools for class. Make sure you check out your campus bookstore and look for “Education” versions of software – it’s much cheaper! Books and Supplies – Books and supplies are qualified expenses but only the ones that are required. Also, this budget will be set by the school, but if it’s a required expense of your class, you can always use your 529 money. Beyond textbooks, some common items include lab supplies, scantrons, and even basics like pen and paper. There are also expenses that you might think qualify for 529 plan distributions, but you’d be surprised to learn that they don’t. Transportation and Travel – If your child is going away to school, you’re going to inevitable deal with transportation and travel expenses. You need to move them in, move them home, and you’re likely going to fly them home for holidays and vacations. But none of these expenses are qualified education expenses, so you can’t use your tax free 529 plan money for these. Student Loan Repayment – It seems like you should be able to use your 529 plan funds to pay your student loans, because you used your student loans to pay for school. But sadly, you cannot use your 529 plan money to repay your student loan debt. If you do, you’ll be subject to taxes and a penalty on the withdrawal. General Electronics and Cell Phone Plans – Cell phones are an everyday part of life. As such, they are not considered an education expense, and while “necessary”, they can’t be expensed and paid for with your qualified distributions from your 529 plan. Sport and Fitness Club Memberships – Many colleges offer sports or fitness clubs for their students to use, and they typically charge a small monthly fee. And even though the college or university bills this expense, it’s not considered an education expense. Since it’s not an education expense, you can’t use your qualified 529 plan money to pay for it. Insurance – Health insurance is so important for college students, and if you don’t stay on your parent’s plan, many people opt to use a plan provided by the college or university. Many schools offer health services and insurance on campus, which is helpful. However, once again, just because the expense is billed by the university, it’s not education related, and so you cannot use your 529 plan money for it without paying a penalty. Starting in 2018, you are now eligible to use 529 plan expenses for private elementary through high school tuition. Notice tuition - it's only eligible for tuition. You can withdraw up to $10,000 per year to pay for private school tuition. There are a lot of nuances around this, so check out our full article on using a 529 plan to pay for private elementary school here. So what exactly happens when you use a 529 plan for a non-qualified expense? If you remember from our previous 529 articles, one of the main benefits of investing in a 529 is the federal and sometimes, state, tax breaks. Owners of 529 plans are given these breaks when the money saved is specifically use for college expenses. In the event that you need to withdraw the money for a different reason, you’ll have to pay federal taxes on the account earnings and a 10% penalty. If you’ve received a state tax break, you may also have to pay that back as well. Make sure you check with your tax preparer because every state has different rules around this. You should also be aware that if one of your children decides not to go to college, you could change the beneficiary on the account without penalty. Depending on your state’s plan, there are typically several ways to withdraw your 529 plan money. For example, Scholarshare allows you to request a withdrawal online, by mailing in a form via snail mail, or by calling their call center. You can have the funds sent to the participant, the beneficiary, the school directly, or a third-party. Many 529 plans, including Scholarshare, allow for ETF transfers as well, which can speed up the process dramatically. When you take a withdraw, you are not required to provide any proof of whether the money is being used for qualified or non-qualified expenses. However, you are required to declare it to the IRS when you file your taxes, and so it’s important to maintain accurate records should you need them. There are many benefits to participating in your state’s 529 plan. (See a big list of them here.) But it’s important that you know exactly what you can and can’t use your 529 plan for. When it comes to time to actually use the money you’ve saved, be sure that you know the laws and are utilizing your 529 savings in the most efficient way possible. If you have specific questions, it never hurts to speak to an accountant that’s familiar with 529 plans. If you're curious to how you stack up with college savings, check out our How Much Should You Have In A 529 Plan By Age. Make your college savings work for you! Do fees for taking GRE exams qualify as reimbursable expenses for 529 holders? It is not a qualified expenditure since your child does not currently attend and is not enrolled at a school for which this test is a requirement. Can’t one argue that the test is required to apply to the school they enroll at? It’s the same argument as they take the test and then don’t get in anywhere. Is the test still eligible? A better way to think about it is does it relate to education (versus administration, employment, etc)? What about tutors or tutoring services? Do those qualify? No, tutoring is not an eligible expense for higher education. Are there any special restrictions on costs incurred for higher education outside the U.S.? If a student receives a placement and needs to travel 68 miles R/T would mileage be a qualified 529 expense? Also if she needs to purchase meals outside of her meal plan is that a qualified expense? Mileage/transportation expenses are no QHEE (Qualified Higher Education Expenses) and so they do not qualify for tax free 529 plan withdrawals. As for meals, it doesn’t matter if she has a meal plan or not. The total amount allowed for meals is found on your school’s Cost of Attendance record, which can be obtained at the financial aid office (and on their website most of the time). Let’s say that the COA for meals is $3,000 – that’s what’s allowable. If the meal plan costs $2,000, but she spends another $2,000 – you can take $1,000 more to get to $3,000. Does that make sense? My daughter’s college lists transportation and travel as a cost of attendance. Yes, most do, but it’s not a qualifying educational expense for a 529 plan reimbursement. My daughter is enrolling at a Community College that doesn’t offer dorms or meals. They don’t have a Cost of Attendance. Can we use the COA from a nearby school to determine how much we can withdraw from the 529 to cover her living expenses without incurring a penalty or tax obligation? Hi Bob, they are required to supply a cost of attendance – they might not post it online (which is very rare), but you can get a copy from the financial aid office at the school. Hi, my daughter is commuting to college. I know you cannot use mileage as a qualifying expense but what about parking fees at the university? Sadly, parking fees are not qualified higher education expenses. It’s one of the reasons why the college will bill them separately. Thank you! another question if I may … what about orientation fee? It cost $151 and attendance was required in order for my daughter to begin registering for classes. Yes, that would qualify since it was required for attendance. How about what you pay to furnish their dorm room at the start of freshman year? Is that a qualified expense? Negative – all dorm room furnishings are considered personal items and are NOT qualified higher education expenses. Well darn it. Thank you for your prompt response. Very good, helpful article! Hi – do any ROTC expenses qualify? My son was issued one PT uniform but has PT everyday. He purchases 3 more sets and a better pair of boots. Do they qualify? ROTC pays for the lowest level meal plan that he upgraded to a better meal plan. Does the difference qualify? Also – how about parking expenses or orientation expenses? Anything beyond what the ROTC pays for is your son’s personal expenses – not a qualified higher education expense for your 529. For meals, you can use any difference between what the ROTC pays for an what your school says is part of the Cost of Attendance for meals – found on the financial aid website/office of your school. Parking is never a qualified education expense. Any mandatory orientation fees count and are qualified since they are mandatory to attend the school. My granddaughter is in her 3rd year of college and has transferred her credits to another university and now living away from home. She is paying rent for a townhouse just off campus. Would her rent be a qualified expense? It’s qualified up to the amount allowed on the Cost of Attendance (COA) from the financial aid office. The COA will have an amount listed for living off campus. Based on the published COA record for the total costs per semester, at the school your son attended, can you submit that amount for 529 reimbursement? We have receipts from the school for rent, tuition etc, but did not have a school meal plan and don’t have all the grocery and meal receipts. You can submit what you spent on groceries and meals as long at it’s below the COA. If the IRS questions your withdraw, the onus is on you to provide documented proof. Are restaurant meals potentially qualified expenses? Yes, as long as they don’t exceed the COA as provided by the school. Are the costs for mandatory new student conferences approved expenses? What about housing application fees? The cost of orientation is approved. Transportation to/from is not. Housing application fees can be since their mandatory to get on campus housing. Would licensure exams be covered for teachers? I am completing my last semester of school and didn’t know if the exams I have to take to become licensed in our state would be considered eligible for reimbursement. No, that would be considered a a work expense, not an education expense. It’s not related to the actual cost of getting an education, but rather something related to potential future employment. If it were required for graduation through the University wouldn’t this qualify. All required fees for curriculum, no? What do you mean? Anything as a course requirement qualifies. what about fees you have to pay to apply to colleges? Some schools specifically indicate application fees are NOT considered a qualified education expense. You might try to make the case that you have to pay the application fee to be admitted to the school and it is therefore related to enrollment. Even if that argument were allowed by the IRS, it could only apply to the one school you actually attend (and not other fees paid to other schools). So, you probably shouldn’t try to use 529 plan money for college application fees. My daughter is in the process of applying to colleges. Are application fees or cost of sending test scores to colleges qualified expenses? So, you probably shouldn’t try to use 529 plan money for college application fees or sending test scores. While they may be required for some schools, they aren’t a qualified higher education expense. You could go to a community college or trade school without taking these tests. My daughter enrolled and was accepted to an RN program at a local Junior College. In order to attend she was required to get a physical. Is the cost of the physical a qualified educational expense for 529 purposes as it was a required expense for attendance? Yes, if she cannot enroll because she must have this physical, it can be a qualified expense. My son is going to take a 3-week summer program in Europe that is offered by his college, and will be enrolled in 2 classes while there. I know the class tuitions can by covered by the 529, but what the cost of the program itself (which includes airfare, housing, and some food)? Thanks! Many study abroad expenses can be covered with 529 plan money – including the tuition, room, board (food), required books, etc. However, travel is not covered, and neither are any excursions your son takes while there. The community college my daughter attends does not provide housing, so there is no housing COA. Does the rent she pays meet the qualifications for using 529 funds? What if I own the Townhome she is “renting”? IS there an amount that qualifies, and do I need a formal Rental document for this? First, ask the financial aid office at the school – they’ve likely been asked this question many times, and have a housing COA that they may not share publicly. If they really don’t (which would be very odd), then you can use whatever amount you think you could justify if the IRS asks. You only have to prove it should you be audited – so I would suggest keeping some records as to local rental prices, and documentation of what your daughter spent. My son will be attending a County Technical College for diesel mechanics. They require the purchase of a lot of mechanics tools for the program. Would these be qualified expenses for his 529 savings plan? You can only claim tools or equipment if you buy them from the school and if it’s required that you do so. The reason being that many tools can be used after the vocational training for employment. My daughter needs a vehicle for college. Can I use 529 funds for a vehicle with out penalty? No, a vehicle is not a qualified higher education expense. Can a 529 account be used to buy a trumpet required for school? Will this affect taxes in any way? Is it required for school? If the instrument is required for enrollment in school (i.e. you can’t attend if you don’t buy a trumpet), then yes. If it’s not required, then no. Having it be a QHEE allows you to withdraw the money tax free from your 529 plan. You can always take money out of the 529 plan – but if it’s not a qualified expense, you’ll pay taxes and a penalty. Our daughter lives in our apartment and attends a California community college. The estimated off campus cost of Living from the school is $11,556 our annual rent is over $45,000. Am I allowed to withdraw the $11,556 tax free? Am I also able to deduct our cost for internet at the apartment? This is a tough topic, so I will try to make it clear. As always, speak to a tax professional with specific questions and/or concerns. In short, yes. What you technically do is charge her rent, and she can use the money from the 529 plan to pay you the rent (and room and board), up to the limit for room and board expenses set by the school. However, you could get into a situation about reporting the income for yourself as rental income. The caveat here is – receiving reimbursement for your expenses is not taxable income. Determine what your expenses for maintaining the room for rent would be (this can include home owners insurance, mortgage interest, utilities, etc.) and use that as your rental amount. Any more than that would be taxable income. Refer to IRS Publication 527 for more information. Then you could get information from the IRS website about current per diem rates for meals. Doing that would not require that you keep receipts for money you spent on food. As for Internet, the same thing as above. You can’t charge the whole thing, since you likely use it as much as she does. However, you can figure out how much as a percentage she uses and then add that to the rent/utilities you charge. My daughter is a high school senior but is graduating early this January. No decision yet on where to go, but she wants to use the upcoming semester, Jan 2018-June 2018, to take courses at a local college (accredited). Can these courses be covered by 529 funds, as she will clearly not be enrolled as a full time student at this local institution? Yes, community college courses are qualified higher education expenses. To be clear, it will just be a course or two while she works and gets ready for 4 year school in August, 2018. Want to make sure she can take a few courses/credits and not be penalized should we pay with 529 money. Can we withdraw the full tuition plus room and board and books each year, even if our net price is lower due to need-based (non-governmental) aid? We are lucky enough to have grandparents that over-saved in 529s and we’d like to shift the money into a non-tax advantaged account for future use as part of a house down payment, or other such worthy cause. I know earnings withdrawn will be taxable at my kid’s rate, but would the penalty apply? No, you can only withdraw the amount AFTER your aid – even if not governmental. You can’t double-dip. Can my daughter get 529 reimbursement for her out-of-pocket expense for books/materials if she’s already received a check from the school for the excess aid she received? Her Pell Grant was more than what was needed for tuition and fees, but she bought books with her own money before the check from the school arrived. Does that make sense? She technically used her Pell Grant – where did that money go if it wasn’t to reimburse her fees. If there was still more spent (and it was less than the COA), then you can use 529 plan money. She could potentially use $100 from her 529 plan to cover the difference in costs. My son paid his own tuition at a community college for 2 years, with the intention of transferring to a 4 year university in the future. He has since decided to not pursue a 4 year degree. Is it possible for him to be reimbursed for the tuition paid in previous years? You have to take the withdraw in the same year that the qualified expenses were incurred. You can do it anytime in the same year, but it must be that year. My son is taking concurrent college courses while a senior in high school. The classes are offered for free through his high school. Are technology expenses allowed as qualified higher education expenses if they are required for the concurrent class? Yes, since they are being used for community college that counts. My son is graduating and getting married in May 2018 and will most likely be filing jointly and claiming himself and his wife as a dependent. If that is the case, can I still use the 529 proceeds to pay for his 2018 college expenses if he is the beneficiary of my 529 plan? Are there any specifics regarding the distributions in this situation, such as payable directly to him? Thanks for all the information you provided, it’s very helpful. My daughter is going to attend college from Fall 2018. We have some money put away in 529. She wants to fund part of her education cost by taking loans. We’d like to use the 529 funds for tuition and fees and may be use the money from the loan for room and board. Can we use Stafford loan money specifically for just room and board? We can probably fund her education but she wants to take some of the responsibility. Would we even qualify for a Stafford loan? Can you educate us a bit about this? What’s going to happen is that your school will send you an invoice and you pay the balance. How you pay is up to you. You can take 529 plan money and pay, or she can apply for a loan and that money would get dispersed to the school. When she accepts her loan, you can choose a lesser amount as well. For example, she could take a loan for just $2,000. Thanks a lot Robert. Happy Holidays! Our son is a full-time student at an eligible school and we pay room and board directly to the school. Your page says that room and board are 529-qualified expenses if the student is attending college half-time or more and the room and board are paid directly to the college. But several other web sources say room and board are not qualified (even if paid directly to the college) unless the college requires they be paid as a condition of enrollment and attendance. The IRS (2016 Pub. 970, p.58) sets a rather confusing multipart test for whether room and board are qualified expenses. Can you clarify under what conditions room and board are considered qualifying expenses? Thanks. Room and board qualifies if your child is attending half time or more. My daughter is enrolled in high school, but takes ECE (Early College Experience) courses through our state university so is early college credit. We pay $160 per semester per course (one this year, and probably two or three in the next two years). Can her 529 cover the cost of these classes? Yes, you can use 529 plan withdraws to cover the cost since it’s higher education (college). My son will be on campus all day on Mondays and Wednesdays taking ECE (College Credit Plus where we are) courses. Would the Parking Pass and a Meal Plan be covered expenses? Thanks. Parking pass no. Meal plan potentially – does the school have a cost of attendance? A question about timing. Since withdrawals and expenses must be matched in the same year incurred, how do you handle a tuition bill received in late Dec that is due in early January? Is it considered “incurred” in Dec or Jan if paid directly to the qualified institution? Should funds be withdrawn in Dec or Jan? While the IRS isn’t incredibly clear, most experts recommend using the cash-basis accounting principle for determining the year. So, if you pay the bill in January, you would withdraw the funds in January. If you pay the bill in December, you would withdraw in December. It’s all about when you paid it – not when you were billed. Does it make sense to make contributions and withdrawals with the same time period just to avoid NY state taxes. Is there a timing issue with this ? Does the money have to be in the plan before expenses paid or do expenses and withdrawals just have to be in same tax year? You can do it yes, but you’re not gaining much from doing so. What do you mean the money has to be in the plan before expenses paid? You can only withdraw from the account money that’s actually there. And yes, you can only withdraw funds the same year you pay the education expense. I’ve been reading your responses to people’s questions. You do an excellent job. Of course there is personal responsibility that needs to be taken. I just want to confirm two items. My son is a Film major and Music minor at a UC. As a music minor he plays the french horn. This year, to keep up with his progress as a musician we bought a new horn. My son said that there are horns available for borrow, but the instruments available would not support his growth as a musician. I guess kind of like if you were training for any sport, and you had less than effective equipment. Some departments have more money than others to support their students skill growth. Would either of these expenses, given they are his declared major and minor in school, be acceptable uses of 529 money? Neither would be qualifying expenses. The camera rental fee paid to the school could potentially be a qualifying expense if it’s required for the course he’s taking. With the upcoming changes under the new tax bill, I can begin to take distributions for private school (high school in my case) for my kids. We plan on using 529 distributions starting in 2018 for private (high school) school. We pay monthly with automatic withdrawl and now we plan to make automatic deposits to our 529 and then withdraw (almost a wash and just shifting the money flow through the 529.) My thought is we will get the full state tax deduction. Right now we are contributing $1k which is less than the allowable (?$5000 for Arkansas?) Depositing/withdrawing through the 529 would allow a full $5k deduction on our state tax. Am I flawed in my logic with this approach? Also, there is a non-refundable enrollment fee for all students. I assume this would be allowed? All of this up to the $10k max, of course. Arkansas has some funky plan rules, so you should consult an expert in your state. The limit for the deduction is $10k, but it appears you could get creative and do an out of state contribution followed by a rollover to save even more… once again, consult a tax professional. Anyway, you can contribute and withdraw the same year to take your state deduction. And your enrollment fee should qualify. Note – the IRS hasn’t published any rules for 2018 and non-higher education expenses. My guess is should, but it’s only a guess at this point. We likely won’t have much clarification until Summer 2018. I’ve read about the changes due to the new tax bill but didn’t realize it would be halfway through the year before rules are in place. Thanks again and your article was very helpful. We knew we should contribute early in their childhood but didn’t have an idea of some of specifics as college is now upon us. When my college student buys groceries as a qualified expense (up to the school’s posted allowable amount) will he have to save the receipts or can I provide the amount allowable without receipts? I recommend you save the receipts to prove it was groceries and not other things – you never know if the IRS is going to question it. Regarding the comment about when to pay versus when you are billed and both having to be in the same year … my son’s college will bill in late December with payment expected January 5. My 529 plan only sends a paper check directly to colleges; electronic funds transfer would happen if they disburse the funds to me or my son. I prefer to pay the school directly. So this means I’d have to ask for those funds on January 2 and essentially Fed Ex the payment to the school to arrive by 1/5? How do other people handle this? Doesn’t seem like much time. Also, what are your thoughts on who the best person is to receive the disbursed 529 funds (student, owner/parent or school)? I’ve heard a lot of opinions but it seems to me that having the funds go directly to the school would help minimize needing to hang onto receipts and such. Because a school wouldn’t be billing for non-qualified expenses. Right? Are college planning costs a qualified expenses. We met with a firm that assists with the college planning process and financial aid and scholarship negotiations with colleges. They advised that this is a qualified 529 plan expense however I don’t see where this would fall under any of the major / eligible expenses that are listed. I agree with you – these shouldn’t be considered qualified expenses since they are optional. Will accepted expenditures for 529 Plans change with the new tax law? I read somewhere that K-12 expenses will now count. Does that only include tuition for private schools or could it also cover expenses like sports clubs? The new law in 2018 allows for 529 plans to be used for elementary and secondary school expenses at public, private or religious institutions. That means individuals can take up to $10,000 in distributions annually from their 529 plans to pay for private school tuition and books through 12th grade – in addition to using their account proceeds for college costs. The IRS already defines qualified elementary and secondary school expenses (but we don’t know if that will change under the new law yet). These are expenses related to enrollment or attendance at an eligible elementary or secondary school. As shown in the following list, to be qualified, some of the expenses must be required or provided by the school. There are special rules for computer-related expenses. My son is living off campus. Just confirming that room and board must be tracked separately. If the school says housing cost is $6500 and meals are $3500 totaling $10000, and we have $7000 in rent, but only $3000 in meals, can we add the two expenses together and claim $10000 room and board? Or will our qualified expenses be $6500 room and $3000 board, totaling $9500? Secondly, when grocery shopping, does he have to separate food and non food items? IOW for sure the hamburger and buns qualify, but what about toilet paper and tooth paste? Also, are fast food and other restaurant expenses qualified under board? The school breaks them down separately, you must track them separately – and must use the lower of either the school COA or the real amount spent. So, it would be $9,500. All food/dining counts – but yes, he should separate his food out from other expenses – especially things like booze if applicable. Finally, remember – your only issue is if the IRS wants proof. So, keep accurate records as best as possible, but it’s not like you’re turning in these receipts each year. my son had an offer for a great Job opportunity this semester and accepted it – thsu withdrawing from his class load- if he still takes one online class to keep enrolled, can we still use his 529 for his expenses? Like his rent- ( which is cheaper than r/b) and of course pay for the online class. he will be enrolling again in the Spring for his Fall semester which will be his last one and he graduates. As long as he is technically enrolled at least half time, you can use the 529 plan money to pay for living expenses such as rent. If his online class isn’t considered at least half time enrollment, then no. Looks like we got our answer and it was – no , we can’t use it this semester. Need to have at least 6 credit hours and that would not be possible….but once he begins his final semester in the fall ,we can. In the meantime, thankfully his job pays well- he just won’t be able to save as much. My son is a full time student at Wabash College and this past summer he completed Dartmouth College’s Bridge program. We didn’t and won’t receive a 1098-T from Dartmouth but is the amount we sent to Dartmouth from the 529 plan an eligible expense ($10,500). You need to provide more information on the expense. If that was the tuition for a college credit program, then yes, it would qualify. If it was other expenses, it might not. Can I use MOST 529 funds to pay graduation related expenses? What graduation related expenses specifically? My daughter is studying abroad this summer with her US university. She will be traveling around Europe visiting different cities, studying European art, architecture, and composers while traveling. As part of their studies, they will be visiting museums and historical buildings. The classes are taught by her US university’s professors and they travel together. She will be a full-time student. The program has three separate fees. (I know her airfare to Europe is not a qualified expense and her tuition is a qualified expense.) The third expense includes housing, meals, museum admissions, city-to-city transportation, and heath insurance. These costs are not itemized, they are lumped together in one “Program Fee” paid directly to her US university, and required for her attendance in this program. While travel costs are not typically qualified, is it different in this case in which the city-to-city travel is part of the actual classes? (Flights to / from Europe are billed separately.) Of course the housing and meals would be qualified, but how about when they are lumped in with the city-to-city travel and insurance? Would I be able to use 529 funds for this mandatory Program Fee? I think you would be safe as it’s a required program fee, and it includes many mandatory items like housing, meals, etc. At the end of the day, your argument would be to justify it with the IRS if they question you about it (which is probably unlikely). It could be worthwhile to speak to an accountant to be safe. This blog is very helpful. Thank you. Can we use 529 funds to cover GRE Prep material? Also, after reading the blog, is it safe to say we can not use 529 funds to apply to grad schools? You are correct. You cannot use 529 funds to cover GRE Prep Material because the GRE isn’t a higher education expense. By it’s nature test prep (and the test itself) is to get into college – not an actual higher education expense. And you can’t use the funds to apply either – because once again, you’re not using that money towards you’re degree. My son is a full-time student at a California Community College, and a graphing calculator is required for his Calculus class. I bought him one. Is that a qualified educational expense for which I can repay myself from his section 529 account? If it was on the required list for the class, then it qualifies. Are you able to use 529 plan money for sorority fees ? No, sorority fees are not a qualifying higher education expense. Thank you so much for all of this helpful information! Yes, just keep your receipts from it. Also, sometimes if you ask the financial aid office, they will have it. Hi Robert… thanks for the blog, great info. Our granddaughter is still in the ‘college due diligence process’ and hasn’t yet committed to a school. Are the expenses incurred for travel, food and lodging to such schools eligible for 529 withdrawal whether she accepts the school or not? No, applying to schools and/or prospecting schools aren’t qualified higher education expenses. How does IRS really know we spent is qualified or not? Lets say I withdraw money as “qualified distribution” to my bank account but I used part of it for transportation (which is unqualified). Do we have to submit proof of expenses? I recently opened an account on my daughters 1st birthday. You don’t have to submit any proof of expenses unless you’re audited. Like anything – there is a paper trail the IRS can quickly follow. When you pull money out of a 529 plan, you’ll be issued a 1099-Q that reports how much you withdrew. Your school will issue you (and the IRS) a 1099-T, which shows how much was paid to the school for tuition, etc. If the numbers don’t jive according to the IRS’s data about cost of attendance, etc. you’ll be flagged for an audit. During that audit, you’d have to provide proof that the expenses were qualified. If you can’t show proof, you’ll be subject to ordinary income tax and penalties on the excess withdrawal amount. So, bottom line, save your proof in a file and hold onto it with your tax return. Can you draw money from a 529 plan for an enrollment deposit and housing deposit for college starting in September ? My grandson is attending a Community College in the fall. We are paying his tuition, books and the accepted expenses. Since there is no housing can we use the COA to address the room and board expense even though he will be living at his father’s house? Yes, your father can figure out his room and board expenses and use that money. However, documentation and proof is key. Thank you for the information. To be clear; I can use the 529 funds for my grandson’s “room and board” even though he will live at his father’s house. (as long as the cost does not exceed the COA?} Does the fact that the Community College he will be attending offers no housing? Sorry, no you cannot use it. You can use the funds to effectively pay his father rent since he’s living there. It should cover things like room and board would normally cover – utilities, food, etc. There is a line item for Residence Hall Room & Board, and another for “Food” down by “Other Estimated Costs.” Is our total 529K allotment for Room & Board both these figures combined? Or should we only go by the top number? With only 12 meals per week provided, I know my son will need to supplement his meals elsewhere (restaurants & grocery stores). Can you clarify what our 529K limit would be for food in this case? Also, what happens if the books/supplies cost exceed what is listed? We’d prefer to err on the side of caution rather than be audited! Thank you! If you keep your receipts and can document everything, you can withdraw costs in excess of the COA. The Internal Revenue Code also allows for you to claim the full cost of room and board if the student is living in housing that is owned and operated by the college and the actual cost of the housing exceeds the amount in the allowance in the college’s official student budget. So, withdraw what it costs for room and board and the meal plan, document it with your receipts, and you should be fine. As for books and supplies, they must be required by the class. Once again, keep the syllabus for the class as proof (it must say required). American student attending a university in Quebec must apply for a CAQ [Quebec acceptance certificate] and a Canadian study permit. Are the associated fees considered qualified expenses from a 529 plan? No, fees uniquely associated with travel and study abroad (such as a permit, visa, etc) are not considered eligible expenses. My son is attending a technical school which requires him to wear uniforms and purchase tools in association with his summer interniship. Are these covered? This is a tricky one because you said “internship”, not school. An internship is work, sprinkled with a bit of education. First question is, does he receive college credit for the internship? If yes, then potentially. If no, it’s just work and you can’t use any 529 plan money. Second, if the internship is for credit, then maybe. Now, is the uniform required to receive credit? Will the expense be paid to the school? If yes to those, I would say yes you could use a 529 plan and show it’s required. If not, then probably not. For tools, it’s similar. Are the tools specific tools that are paid to the school? Or, are they tools he will buy and can use for his life post-graduate in his field. In 99% of cases, it’s the later, and they won’t be qualified expenses. The tools are purchased through a school account from a tool vendor. While needed for the internship they are a second year school requirement. The uniforms are purchased from the school and are a requirement for attendance. So books for an apprenticeship program are not eligible expenses? Are the books required as part of the course? If so, they are eligible. You are doing an excellent job with answering everyone’s question! Thank you for your resource. Our son has been accepted into an Aeronautics program and will be incurring Aviation fees to fly every semester. He will be required to get a private pilots license either in his first semester or have it transferred in with him. We have found that he can get his PPL locally for $8-10K or get it while he is in school for $14K. The license will also allow him to transfer 12 credits into school which would save us both time and money. Can we use the 529 to pay for the PPL locally? A 529 plan can only be used for qualified educational expenses. If the license is required by his school (and you have documents to prove it), then yes. Part 2 of this though is local vs. paying through the school. Another aspect of a 529 plan is it can be used for vocational training, which getting a pilot license basically is. However, this can only be done through accredited schools. If you find a flight school that is accredited locally, then yes, I would go that route. Otherwise, to be safe, I would go through the school to pay for it. Thank you for being active on this forum. Could you help me with understanding my 529 situation? I was recently gifted a 529 and I plan on using that to pay for the completion of my degree in the Fall. I will be enrolled in at least 6 units under the schools reduced tuition program. I know that the money can be used for tuition, but could I also use it for off campus housing even though I am technically not enrolled as a part time student, but as a student under a tuition reduction program? No, you must technically be enrolled at least half time to use money for housing expenses. I saved in a 529 plan and put both of my daughters through college to get their Bachelors degrees and there is money left over. One daughter would like to take some additional lower division classes to prepare her for a new job opportunity. Would those classes still be reimbursable on a tax free basis? Thank you! Yes, if the classes are paid to a qualifying higher education institution, they qualify. You must be attending school at least half time to qualify for any expenses. If he’s doing at least half time, then yes, the rent and food up to the COA are fine. Great article and the blog responses are really helpful. Are placement tests (ie English, Math, Language, etc…) for the college you are attending covered? Also, for high school, it looks like tutorings costs are now covered. Is that for all high schools whether public or private (as long as you dont exceed the 10K limit)? Placement and admission tests are typically not considered qualifying unless they are for the school you’re going to AND they are required. If you’re simply taking them to get standing or similar, they aren’t likely required, but recommended. The high school one is interesting. Private school tuition is covered, but not other expenses like tutoring. I went onto my student’s university placement testing page and read that the math placement, for instance, was a required prerequisite for her taking the chemistry course she was enrolled in. As such, in my mind that makes the placement test fee a required expense, much like the textbooks, lab coat and goggles also listed as ‘required’ for that same class. In addition, the math placement stated that the student was required to take at least one test using honor lock, which charges another fee. Since it is required, and is a class prerequisite it is a qualified education expense, isn’t it? What was not required was my student taking the test multiple times to better her score, incurring multiple honor lock fees which are therefore optional and not required and thus not qualified education expenses, right? Yes, if the test was required (as well as the supplies needed for it), it’s qualifying. I would agree that re-taking it multiple times is not qualifying. I took a one time, non qualified distribution, from a state sponsored 529 plan in 2016. I recently received a notice from the IRS that alerted me that turbo tax did not correctly count the 5K earnings of the 529 as taxable income b/c the type of program was accidentally marked on my return as “private”, when it should have been marked “state” fund. This accounts for a change in refund of a little over 2300 that I owe back. It doesn’t make sense that 5700 earnings could account for 2300 in taxes. Does that make sense to you? Moreover, they are negating my child and dependent care expenses, per IRS report, but when turbo tax recalculates with all boxes checked correctly, it states that it stays the same (20% of 3K). Advice on rebuttal to the IRS? Thank you for your time. This is a complex tax question and it’s best served by an accountant. I highly suggest you contact one if you want to contest this with the IRS. As for how the taxability works, you pay income taxes and a penalty on any earnings you withdraw. Any withdraw is treated pro-rata (meaning equal parts earnings and principal). So, let’s say you had $20,000 in principal, $5,000 in gains, for a total account balance of $25,000. If you withdraw $5,000 – that would be treated as $4,000 in principal and $1,000 in gains. You would face a tax burden on that $1,000 – it would be your ordinary income tax rate plus a 10% penalty. So, if you were in the 25% tax bracket, you would actually pay 35% on the withdraw. So your tax bill on this withdraw would be $350. As for those tax credits, could the withdraw push your income high enough that you reduce your credit? With the addition of this 529 plan withdraw, your taxable income could be much higher, resulting in a recalculation of other credits and deductions you took on your return. This is why speaking to an accountant could be worthwhile. Hello, I am interested in doing coursework to become a doula (someone who assists a woman in birth and post-partum). There are several options/schools/agencies who certify students in this field. How do I know if this type of schooling would qualify as a 529 expense and how would I pay for the fees from the account if the agency only accepts a credit card as online payment? Thank you. As for payment, you would pay the school, then withdraw the money to yourself. Just keep records. thank you for this comprehensive list and the very timely reply! Can my daughter return a computer she bought with 529 funds in her senior year but never used? Yes, but then it would no longer be considered a qualified expense. You can always withdraw contributions without taxes and penalties. However, all withdrawals are pro-rate. So, let’s say the account is 50% principal and 50% gains. When you withdraw, 50% will be taxable as gains. You don’t get a choice in that. Remember, you can always reassign the account to someone else – even into the future. With a tax bracket of 17% – am I correct in calculating 27% as the amount I would owe? (ie; $20,000 = $5,400) – A second question would ask about NYS tax. Yes – your tax rate, plus 10% and it would also be subject to state taxes at whatever your state tax rate is. Probably another 6.5% or so. Yes, the taxes and penalties would only apply to the $10k (the 50% that is considered gains). Can PRINCIPLE be withdrawn and “not” subjected to tax or penalty? Principle is not subject to tax and penalties. However, all withdrawals are pro-rata. You can’t simply withdraw principle without taking gains out as well. If I send (via 529) a portion of a 529 account to its beneficiary it is my understanding that the taxes and penalties would be paid by him. (if the funds are not used for qualifying uses). Am I correct? The owner of the account pays the taxes and penalties, not the beneficiary. So, if you’re the owner, you pay it. If you intended the 529 plan to be a gift, and the child never went to college, you should consider transferring ownership of the 529 plan to him. Then, if he makes non-qualified withdrawals, he would be subject to the taxes and penalty. Would the transfer of ownership become a gift, with related tax consequences if the amount exceeds the gift tax allowance? As of today, there are no tax issues with transferring ownership of a 529 plan. However, there have been proposed rule changes, so it could be something that happens in the future. My daughter is attending a charter / private high school here in Indianapolis – uniforms are mandatory – can those be paid for via our 529 plan ? For elementary school, you can only use the funds for tuition – nothing else. Check out our full guide on using a 529 plan for elementary or high school. My son’s employer reimburses him for a portion of his tuition and books. Does this reduce the amount that can be reimbursed from his 529 account? For instance, if his tuition, room and board was $10,000 for one semester, and I pay that directly to the school, subsequently his employer reimburses him for $3000, how much can be withdrawn from his 529? Also, suppose he received a scholarship instead of an employer reimbursement, how much could be withdrawn from the 529, in that case? You cannot double-dip. So, if he receives tuition reimbursement and/or a scholarship, you cannot also withdraw from a 529 plan. So, in your example, if your son’s school cost $10k, but he received $3k from tuition reimbursement, the max qualifying 529 withdrawal would be $7k. If he had other scholarships, it would further reduce that amount. The Internal Revenue Service grants certain exceptions to the 10 percent additional tax on earnings you withdraw from a QTP that don’t go toward qualified education expenses. These include the death or disability of the beneficiary. They also include cases where the beneficiary receives a tax-free scholarship, veteran’s assistance, employer assistance or other tax-free educational assistance. Is this correct? Is this different than double dipping? That is correct but you still pay ordinary income taxes on the withdrawal (it’s not tax free like it would be if it was qualifying), you just don’t pay the added penalty. So, you save 10%, but you’re probably still going to pay roughly 30% (Federal and state combo) in taxes on that overlapping amount. OK, let me see if I can get this right. My child’s college bill is $10k, he receives $2k from his Grandfather’s 529, he receives $1k from a scholarship, and $3k from employer reimbursement. I pay the full amount due, $10k, then can only withdraw $4k from my 529, but if I decide to make an additional non-qualified distribution from my 529 of $4k (scholarship and employer reimbursement), I do not have to pay the additional 10% tax penalty I would normally pay for a non-qualified distribution, but still have to pay federal and state taxes on the amount of earnings associated with the $4k withdrawal. Is this correct? Is there anything I missed? Is there anything else that could be done? Does the non-qualified distribution have to be made in the same year the employer reimbursement was made? I’m concerned that I have over-saved in his 529 and will have money stuck in it after he graduates, so I would like to pull out everything I can, as cheaply as possible. Suggestions? Thanks, in advance! You have it right. Just remember all withdrawals from a 529 are pro-rata. This means, let’s say you have $16k in a 529 plan, and your contributions were $4k, and the growth is $12k. All withdrawals will be considered 75% earnings, 25% principle. So, in your $4k example, your taxes would be on $3k. I would only pull it out taxable if you really have no other options left. If the person is living off campus in a apartment with a spouse and child, will it cover it? If they are a full time student, you can use up to the COA for off campus housing. Can 529 Money be used for Wilderness Therapy Program for struggling teens? If so, is there is limit of how much can be withdrawn annually? No, 529 plan money can only be used for tuition at a public, private, or religious school. Extracurricular programs do not count. Read our full guide here. My daughter is in grad school pursuing a degree to become a school teacher. She will be student teaching and will need to buy supplies for student teaching (like books geared toward the school aged children). Can 529 funds be used to cover cost of these books? If these books and supplies are required for her course, they count (they would be listed as required on the course syllabus). If they are just books she wants to read to schoolchildren, then no. My son is going to major in music education in college. Can the 529 funds go toward paying for an instrument? This is a tough one because that’s usually considered a tool. If he’s going to need the instrument as a requirement for the class (on the syllabus), and he buys it through the school, then yes. However, it’s still risky if you’re audited because it’s a tool he will use forever. Whether it’s purchased through the school or not has nothing to do with it. My son will be attending the business school at a state university (state of Indiana). His “Business Presentations” class requires him to wear a business suit. Can we use 529 funds for that suit? Is it in the syllabus as a course requirement? Is he buying the suit through the school? Chances are no. It’s very similar to the issue of tools for vocational school. The room/board and tuition is easily understood. Also required course fees and books/software if for the course. What is less so are the mandatory (nonnegotiable fees) that you have no choice but to pay. IU (Indiana U) has mandatory activity fee (non course related but mandatory), repair and rehab of campus (again, not course related), health, student technology and transportation. How about at least getting the technology fee (needed for online access to all things school and/or related) covered? Mandatory fees such as administration, lab and technology fees required by the school, are an eligible expense. Other fees, like club and activity fees, including fraternity and sorority membership dues are not eligible. Health insurance and transportation are not eligible. The Student Bill has a section for Tuition and a section for University Fees. All off those extra fees are billed at his account activity. If I don’t pay, then, he can’t attend the school. Yes, all of those extra fees are not qualifying for 529 plan withdrawals. Health service fees are considered medical/insurance and not education. The recreational fees and NCAA fees don’t count either – sports. Thanks for the quick response. That’s a real bummer, with 3 children in college, those extra fees really add up. Since these fees are required by the university, I wish that we could use the 529. I enjoyed your video above. Thanks for putting it out there. In Publication 970, the IRS says that certain fees may be counted, along with tuition, as qualified higher education expenses provided those fees are payable to the institution as a condition of enrollment. The most common example is a student activity fee, billed separately from tuition, but required of all students and of which no portion covers personal expenses. Publication 970 specifically states that qualified education expenses do not include amounts paid for insurance or medical expenses, including student health services fees. My opinion is that the other fees she specified (Student Recenter, Rec Center, NCAA fee) are also not qualified as they would fall under the personal expenses disqualifier as these fees typically fund programs that are servicing the school’s debt for something not academically related. The IRS has this in Publication 970 that includes: Qualified education expenses generally don’t include expenses that relate to any course of instruction or other education that involves sports, games, or hobbies, or any noncredit course. These types of fees fall under that in my opinion. The IRS then goes on and states some eligible educational institutions combine all of their fees for an academic period into one amount. If you don’t receive or don’t have access to an allocation showing how much you paid for qualified education expenses and how much you paid for personal expenses, contact the institution. This tells me they are specifically breaking out these “other fees” as personal expenses, even though they may be mandatory. My daughter will be on an athletic scholarship staring Fall 2018. Because we started her 529 plan before we knew she would get the scholarship, what can we do with the funds that are in the plan seeing as though we won’t need to used them ? I noticed as part of the fall semester tuition billing, there was a line item for meal plan – $ 1,800 – can I use $ 1,800 of the money in the plan for something entirely different (non-qualified) due to the fact that food is being covered by the scholarship. ? You can withdraw up to the scholarship amount penalty free (not tax free) for non qualified withdrawals. Not a bad deal – you basically got tax deferred growth instead of tax free. If my son attended college earlier this year, am I still allowed to open and contribute and then withdraw funds to cover expenses already paid in order to claim the state tax deduction. You can contribute and withdraw funds the same year – just make sure the tuition was billed and paid this year. Great! Thanks for the quick answer. My grandson has been accepted and enrolled at Georgetown University graduate school and has to attend a mandatory orientation in Washington, D.C. What part if his orientation expenses are covered by his 529 account? What expenses does he have? A mandatory orientation fee would be allowed, but not much else I can think of. Our daughter has been has received a generous but not full athletic scholarship, she has been told by the coach that she must purchase some very specific shoes for practice and game use. She also needs to purchase protective equipment (ankle braces-knee brace) for use in practice and matches. The coach requested specific guidelines for color and style. Also the coach ordered knee pads and players pay to the coach/program for these. Would these costs be deemed eligible expenses since she cannot play without them? No, sports equipment would not be eligible. However, remember you can withdraw the money from the 529 plan without a penalty (you still pay taxes) up to the scholarship amount. It’s not a great option, but not bad if you need to. First, tanks very much for this Q/A. Extremely valuable. Question about funding “board” expenses: My daughter has chosen student housing that includes a kitchen. As a result, she would like to forgo choosing one of the standard on-campus meal plan options in favor of doing her own grocery shopping and in-dorm meal preparation. My understanding is that I can fund the cost of this approach from her 529 plan, but only up to the amount that matches what the cost would be for a standard on-campus meal plan. However, her school has a number of different meal-plan options, leaving me unsure which to use for my 529 withdrawal calculations. Can I pick to most inclusive meal plan as my basis? You don’t go by the cost of the meal plans – you need to go to the Financial Aid Office’s website (or in person/email) and get the cost of attendance (COA). The cost of meals will be listed there. That’s the number that you use. If you buy the meal plan directly from the school, it will all be a qualified expense regardless of what the COA says. However, if you choose to not use the school’s meal plan options, then you have to default to the COA as the max allowed. This is terrific info–thanks so much. Our daughter received a $2,500 academic scholarship this calendar year. If we want to withdraw this amount as a non-qualified distribution but avoid the 10% penalty, must we make the distribution this calendar year? Our preference would be to keep that amount in the account to potentially be used fully tax-free for future qualifying expenses, but there’s a fair chance that her future QEEs will total less than our current 529 balance, leaving us with a remaining balance to be distributed at the end. So, I’m wondering if we don’t take academic scholarship distributions in the year the scholarships are applied, do we lose the ability to avoid the 10% penalty? Yes, you would have to withdraw it the same calendar year as you were billed/paid for the tuition that included that scholarship. Thank you for this excellent blog. Can qualifying 529 distributions paid to the beneficiary/student’s bank account (who then pays tuition and R&B), count towards them providing their own support? I’ve read that $$ paid for tuition/rent from their UGMA counts so seems like the 529 $$ should to. I don’t get any value from her dependent exemption or the Opp’y credit on my return so its better for her to claim her own PE and take the credit (which I believe requires her to provide > 50% of her own support which she easily would when counting the tuition and R&B she pays using the 529 $$). If the rules are unclear as re: the 529 $$, I’ll take the risk as it feels like a reasonable position, but I would like to know if there’s something I haven’t found that squarely says this isn’t allowed? It sounds like you’re asking if 529 plan withdrawals can negatively impact the Expected Family Contribution (EFC) on the FAFSA, which could hurt changes for future financial aid? If this is your question, with a parent- or student-owned 529 plan, the 529 withdrawals used to pay for college will not be reported on the FAFSA. Or, are you simply asking for tax purposes should she claim herself and you no longer claim her as a dependent? This is a question for tax professionals and you should have your accountant look at this question, run the numbers, see if you can do it, and if it makes the most sense. Thanks, Robert. This is meant to be a reply to your answer posted at 9:18pm on Aug 14, 2018, but there is no reply button option in that particular thread. I’ve reviewed IRS Pub 970 and, unless I’m missing something, I don’t see any limitation on inclusion of fees required for enrollment or attendance for purposes of determining QEE under a QTP. I do see the reference to student activity fees on Pg. 13 of Ch. 2, but this is under a discussion of QEE that is qualified as “for purposes of the American opportunity credit.” In the glossary section on Pg. 4, the IRS says, “Even though the same term, such as qualified education expenses, is used to label a basic component of many of the education benefits, the same expenses aren’t necessarily allowed for each benefit.” It then directs the reader to the full Glossary starting on Pg. 82, where QEE is defined for the different programs (with an important direction to see the pertinent chapter–e.g.. Ch. 8 for QTPs–for specific items). Here, for example, the reference to student activity fees is included under the American Opportunity Credit and the LifeTime Learning Credit sections but not under the QTP (or other programs) section. To me, this supports the view that one should look only to Ch. 8 and the QTP section of the Glossary definition of QEE in looking for guidance as to how the IRS will treat fees. Thus, when I see the Ch. 2 Pg. 17 references to “Medical expenses (including student health fees)…even if the amount must be paid to the institution as a condition of enrollment or attendance,” I interpret this to apply only to the AOC. This is supported by the fact that Room and Board is specifically also included in this same list of expenses to be excluded from QEE, when in fact these are clearly included in the QEE calculation for QTPs. The other language you cite regarding “sports, games or hobbies” is also found only in this AOC chapter and, in any event, seems to be directed at courses on sports, games or hobbies (e.g. something like a “Theory of Football” course) rather than for fees unrelated to a specific course. Similarly, the language on combining fees and receiving an allocation of those fees is only found in this AOC chapter. Based on everything I’ve now read (IRC language and IRS Pub. 970), unless there’s some other case results or other IRS guidance of which I’m not aware, I’m comfortable that all fees required for enrollment or attendance at an eligible school are eligible to be included in QEEs under a QTP. I think that’s a broad interpretation but I also always think about risk, and the risk here is really, really minimal. If you figure the total costs of fees each year are going to be about $200-500, and your 529 withdrawals are pro rata, your total gain is going to be maybe $100 to $300? Then your 10% penalty and gains you’re avoiding are $50 to $200 maybe? That level of income is very low and if the documentation is there, you’ll probably be fine anyway. Yes, completely agree with you on the low risk level. Thanks again for all your help. Hello – just a quick question. My daughter is living off campus this year but will be attending class on campus for most of the day, Monday through Friday. Can her 529 fund be used to purchase flex dollars on her student account so she can have lunch in between classes? You can use the amount up to the cost of attendance for living off campus. My son is attending a university that requires freshman to live on campus unless home of record is within 30 miles. We only live about 15 miles from the university but want him to have the experience of living on campus. Can we still use 529 funds to cover the cost of room and board? Yes, it doesn’t matter if he lives on campus or off campus, you can use the funds to cover room and board. My son is attending UBC in Vancouver, Canada. When I look at the breakdown of the required fees for attendance (Tuition), some of the fees include athletics and rec., intramural, health and dental fee, bike kitchen, Upass (I think this is for the bus)…. If they are required, do they qualify, even though they would not qualify on their own? The answer is some may be able to qualify, other specifically no. For example, health and dental fee has been clearly ruled no by the IRS. The other required fees, I’d honestly question if required or opt-out versus opt-in. If you really can’t opt-out, then you have a case for reimbursement. Just keep your documentation. At the end of the day, the risk is low and the penalty is low for small dollar fees if you’re wrong. The choice is yours to pursue or not. If my son attended an orientation program for international students the week before school started but he was not required to attend. It was just highly recommended and he had to pay a fee. Would it qualify? If it wasn’t required, the it’s not qualifying. Thank you for your blog! It is very helpful. I didn’t see you mention the American Opportunity Tax Credit anywhere. If you have a low income and will qualify for this tax credit on your taxes, than you should subtract $4000 before taking a withdrawal for each child’s account or else this is considered double dipping. Is this correct? Also, I was told to request the withdrawal in the beneficiary’s name, but what is the purpose if the owner pays the taxes on the 529? You cannot double-dip the tax credit and 529 plan qualified withdrawals. I’ve written about it in several other articles – especially why late savers shouldn’t use a 529 plan because the tax credits are a better deal. Anyway, let’s say tuition was $20,000. You want to coordinate benefits with your 529 plan and tax credit (if you qualify based on your MAGI). The tax credit value is $2,500, and requires $4,000 in tuition to get that amount. So, $20,000 – $4,000 leaves $16,000 that you can have as qualified expenses for your 529 plan. As for the withdraw – yes in the beneficiary’s name. The reason is that while the 1099-Q will have your SSN (and be reported on your taxes), to be qualified, it needs to line up with the 1099-T (the education expenses reported by the institution), which will have the beneficiary’s name on it. The two forms go hand-in-hand. Just to clarify, can the AOTC only be for tuition? or qualified higher education expenses? How does that work if you had financial aid grants, such as Pell Grants, that paid for part of your tuition? For example, your semester tuition is $5000 and the grants paid $4000, but you still have all of the Room & Board expenses and other to pay. AOTC is for qualified higher education expenses. The definition of QEE is different for AOTC and 529 purposes. Most importantly, AOTC QEE does not include room and board, while 529 QEE does (if the student is enrolled at least half-time). To be clear, a 529 distribution made payable to the beneficiary or the school will be reported on a 1099-Q under the beneficiary’s name and SSN, and if the distribution was not qualified, the tax liability for the earnings portion of the distribution will belong to the beneficiary. Thank you for helping so many parents with their questions. I have been searching on the IRS website, contacting the school cashier office, financial aid, googling, and even contacting my tax preparer but this site is the most helpful with the Q/A section. You mentioned that mandatory orientation fee is cover under 529. The full cost we paid for orientation was $ 419 but the student portion was $ 305 so I assumed I should ask disbursement of $ 305 from the 529 plan and not the $114 for parents to attend the second orientation day? Also, my daughter was asked to take an analytical writing placement examination test at the university she is attending this month. Does this count as QHEE? She needed to take this test before she can choose her classes. Please advise and thank you for your help. I would claim the $305, not the amount for parents. As for your daughter, if the test is required, it counts. My son has just started his first year at a service academy. . He is not charged to tuition or room and board. He does have to pay for books and equipment which are estimated to be around 20k over the four years. We have more than 20k saved in a 529 for him. I know there are provisions for getting money from a 529 plan when the beneficiary is going to a service academy, but I cannot find any specifics. What can you tell me? If your child attends a service academcy, you can still withdraw the funds and avoid the 10% penalty tax, because of the Military Family Tax Relief Act of 2003 which provides that attendance at a U.S. military academy will be treated as a scholarship for purposes of non-qualified withdrawals from a 529 plan. However, like a scholarship, the earnings portion of the account will be taxable. So, you don’t have to pay a penalty, but you still pay taxes. If you have other children, you might consider changing the beneficiary to them and use the funds for their education. Or, you could wait until you have grandchildren. TX A&M schedules a mandatory one-on-one “New Student Conference” meeting for each incoming freshman. The cost is $225. Can I use the Coverdell ESA to cover this cost? Yes, a mandatory orientation fee like that is considered a qualifying higher education expense. We have daughter attending 4 year nursing BSN program at PA university. As a junior and senior, the program requires her to provide her own transportation to and from clinical rotations off campus. There is no transportation service provided by the school. There is no public transportation near the campus. She is required, for participation in the nursing program, to travel to various clinical locations 3 to 4 times per week. The locations can be 5 to 40 miles away from campus. It includes dayshift and nightshift. Clinical rotations are for credit and no pay is received. In this case, she needs a car to fulfill that requirement. Can a car be a qualified educational expense for our nursing student? Thank you. No, transportation is not considered a qualifying higher education expense. If I set-up a 529 plan for my nephew this year, and my sister has already paid the tuition earlier this year, can a withdrawal be made to her as a third-party to reimburse her? Yes, same tax year, it’s allowed. My aunt (now deceased) set up a 529 account for my nephew and appointed me as the account owner. He is currently in his junior year of college and living off-campus. Are we able to make a qualified withdrawal to pay for rent? He also receives several scholarships, has a student loan and work study. Do those have to be factored in to determine if it is a qualified withdrawal for off-campus rent expenses? I’m assuming the rent withdrawal can be for 9 months of rent. You need to pull up the school’s cost of attendance (usually on the financial aid website, but sometimes you need to call and get it). It will have an amount for off campus housing – and you can use up to that amount. So, if his apartment costs more, you pay the difference. As for scholarships and loans, yes, you need to take them into account. Total cost of everything allowed – scholarships – work study – loans = remainder. You can use the 529 amount for the remainder. Going forward, I personally would ensure that you use all the 529 plan money before taking out any more student loans. 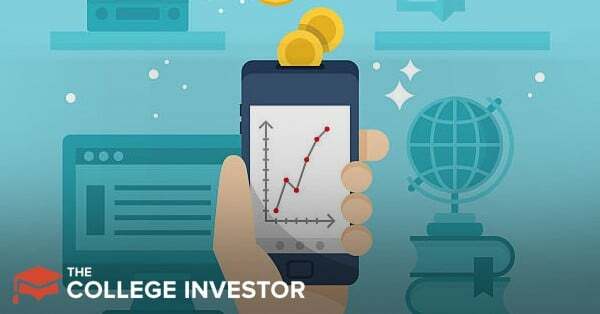 Is a scientific graphing calculator allowed for a qualified withdrawal? If it’s required for your course (i.e. listed on the syllabus as required), then yes. My daughter participated in an unpaid internship for 5-weeks requiring moving her to another state. This was between graduating from high school in dual credit program with a local community college and beginning a 4-year university. Do her living expenses or any other expenses count for the 529? An internship is work, not education. This is not a qualifying education expense. Excellent information and very helpful to read through 1+ year of questions & answers. I didn’t see the answer to my specific question. I have 529 $ for my child living at home/commuting. My child also receives student loans that are applied against tuition each semester. Can I still use 529 money for the full tuition cost even though the student loans reduce the amount of the check that I write each semester ? Put another way with a simple example: tuition is $4,000 a semester, we receive a student loan for $2,500 and pay $1,500 by check. Is the 529 qualified distribution $4,000 or $1,500 ? If it is $1,500, then could I write a $4,000 check each semester which would result in the $2,500 student loan being paid out which could then be used for other non-qualified 529 expenses (commuting, etc) and allow me to withdraw the full $4,000 tuition from the 529 ? As it stands currently, the 529 would be for the $1,500. You could (and I recommend you should) use it for the full amount. I never recommend borrowing until the 529 in exhausted completely. If you pay the full amount, it’s possible BUT you may not be able to borrow Federal loans because they are considered financial aid up to the total amount due. Speak to the financial aid office to ensure that all your aid and payments are coordinated correctly to not mess it up. My son just started college this fall and I had several questions before reimbursing funds from his 529 plan. A) He bought the minimal meal plan but is buying additional groceries like milk (our home milk usage has decreased 3 gallons a week since he left). Would these be reimbursable if we keep the receipts? B) He had to pay a fee for a voluntary pre-orientation retreat. Is that reimbursable? C) Are laundry expenses reimbursable? Thank you for the prompt reply. It looks like they use the minimal meal plan for the COA. Does that seem right? That would mean any additional food purchases aren’t reimbursable. That can be correct. It’s the schools discretion to figure it out. So correct – additional purchases are not qualifying expenses. Do either of these activities qualify for college credit. It doesn’t sound like it, so my initial answer is no. However, you never know so I thought I’d ask. Can we use the 529 to pay for SAT Tutoring and the cost of college applications for financial aid? No for SAT tutoring. In general no for the college applications, and here’s why. Potentially for one college application – the school for which you were accepted and end up attending. However, the expense is typically incurred in a different year than when you attend (i.e. expense paid in fall 2019, admitted for fall 2019), so that’s why it’s usually a no. The other applications will not count since they are not required education expenses – you never got an education at those schools. My son is an engineer and will be taking the PE exam. Do the fees for the exam qualify? The PE exam is a professional exam, I believe. If so, it has nothing to do with enrollment at his school. As such, it likely doesn’t qualify. If the PE exam is required for attendance at his school, it is likely eligible – but I’ve never heard of a professional exam being required to attend a college. What about an expense that is tied to a class at the university? The expense involves traveling to a required performance that she is performing in. The class is part of her major. Can she use 529 Plan money to travel to the performance? No, transportation is pretty explicit as not qualified. Going to a performance is akin to going to class. Just a different location of the class. My Granddaughter is living in the dorm this semester. She wants to move to a sorority for the next semester. The college charges $1200 to break the contract. Can this fee be applied to her 529? That fee would go towards her room and board expenses. You would need to look at the Cost of Attendance (COA) for the school and validate what the maximum is she can spend. Any costs in excess of that are ineligible. Can a college student’s mortgage be paid by a 529 plan if the student owns the house himself? Everywhere I have read has indicated that as long as it is an expense the student incurs on his own, it is allowable up to the university’s COA. Is this possible? Correct – you can use up to the off campus COA for room and board to cover living expenses – whether that is rent or a mortgage doesn’t matter. You can transfer from your checking account or the 529 plan – depending on how each plan operates and what is easier for you. How does the government know? If you are audited, you’re going to need to show your tuition statements for the amount you withdrew (up to the 10k limit for private school tuition). You will receive a 1099-Q which will show the 529 plan withdrawal and you need to report that on your tax return. My son is enrolled full time and living on campus as a freshman. He is receiving mental health help through a therapist that is not affiliated with university. I am paying for this. Is it a qualified expense? Many thanks! No, medical expenses are not considered education expenses. Is the cost of a college graduation gown a covered expense? It is required to walk at graduation, but not to graduate. Also, is the cost for taking MCATs in preparation for post-graduate education covered? Thanks for the help. No, a graduation gown is not a qualifying education expense – it’s not require to graduate. Standardized tests, like the MCATs, are not qualifying education expenses. My son is a collegiate cyclist at Fort Lewis College. He crashed during training, fractured his clavicle and required surgery. Can I pay the cost of this collegiate sports related injury with 529 funds? No, medical expenses are not qualifying higher education expenses. My son is going to be attending college in the Fall of 2019 to obtain a Professional Pilot’s Bachelor Degree (Aerospace) – part of the degree program requires flight labs which require additional flight and ground school materials/costs (i.e. headset, aviation charts, books etc.). Would 529 money be able to pay for these required costs? In addition, he will be required to pay for examiner frees for each FAA check ride and to pay for each attempt required to pass the FAA written test. Would 529 money be able to pay for these required costs? The tools and equipment are not usually eligible since they are for your vocation (you can use the headset, charts, etc as a pilot). You can only claim tools or equipment if you buy them from the school and if it’s required that you do so (i.e there are no other options available). As for the tests, those aren’t eligible either. It’s not part of the education – but rather part of what’s required to get a professional license. What about the flight training cost? Instrument rating/flight ground instruction and simulator costs? Are those flight training costs paid to the school (or a Federally accredited school)? If so, then yes. If not, then no. 1. Will the 1099-Q in fact be in my son’s name and therefore is HE required to report it on his return or am I? I saw an earlier comment you made that the owner of the 529 is responsible for penalties/taxes on non-qualified distributions so does that mean that the 1099-Q amounts are reported on the owner’s return and not the beneficiary? 2. Does it matter if I am the owner but file married/filing jointly? As I understand it, there can only be one owner on a 529. 3. I have read that if you only use 529 funds for QEE, there is nothing to report on your return. If the IRS questions anything, they will ask for proof. So do you need to report the 1099-Q amounts regardless of what the distributions are used for? 4. COA: Can the COA for room/board be ANY advertised amount on the school’s website? My son’s school has meal plans that are as little as $500 up to $2500 a semester. Similarly, the “room” plans vary depending on whether you live in a quad, triple, double, single, type of dorm, etc. Do you have to use the lowest amount of COA advertised or can you use the highest advertised amount? This is a question mostly for when he lives off campus. Thanks so much for your insight and responses! It’s not a problem and the amounts are relatively small, so while annoying, you just report accurately. 1. It would be reported on your return if it’s non-qualifying. It sounds like you would also be claiming him as a dependent anyway. 3. Correct – if everything qualifies, you just save the paperwork. Nothing is reported. Thanks. A few more clarifying questions. For question 1 above: Everything was qualifying. We have more than enough expenses we paid out of pocket that the 529 funds don’t exceed. Example: Total QEE expenses (books, fees, required supplies and R&B) were probably $8000 for the semester. We withdrew two amounts totaling less than that. So knowing that the 529 funds were entirely used for QEE, whose return does anything get reported on, assuming the 1099-Q will be in my son’s name? Or is there nothing to report? That’s where my confusion is. 4. Regarding COA — since the school billed for R&B directly for a basic double dorm room for a freshman and one of their meal plans — and we withdrew same amount from 529 to pay for this — wouldn’t this all be qualifying? Or does COA apply to both on campus AND off campus? If everything is qualifying there is nothing to report. Just because you get a tax form doesn’t mean you have to input it anywhere. They are just for your records. An example is Form 5498 for IRA contributions. If you have a Roth IRA, it doesn’t matter. For the COA, if the room and board and meal plan are less than or equal to the COA amount, it’s qualifying. I don’t quite understand your question – he either lived on or off campus. You would then take the appropriate COA. If you got a dorm room and lived off campus, leaving one empty, that’s not qualifying. If the school billed you incorrectly, you need to get that resolved. Addendum: I found the COA page on the school’s website. It’s $11,362 for R&B for fall 2018 and spring 2019, combined. My son also has a $3500 per year merit scholarship which is applied to R&B (so yes, it’s taxable). But for the purposes of 529 withdrawals, do you ONLY consider the COA (in this case, the $11,362 which would be $5681 per semester) or must you factor in scholarships? If factoring in scholarships, for him that would be $5681 – $1750 =$3931 as my allowable “budget” for 529 withdrawals for R&B each semester. Am I thinking through this correctly? Thanks again for your help on these points. It would be minus the scholarship. So, if $11,362 is allowed, then you subtract 3,500, you have $7,862 allowable for room and board for the year. So yes, that’s $3,931 per semester. Wow. Great info to know. • I withdrew from the 529 $1600 for his laptop, and paid $1650 (thereabouts). Have the receipt. He is in an engineering type program and the department website lists a specific kind of laptop with so much memory, etc. So hopefully I’m good there. • The second withdrawal was for $4427. Of that, only $3981 is allowed for R&B (which I see now). That leaves $496. However, I have plenty of receipts for his books and supplies and software, which we paid out of pocket and NOT with 529 funds, even though they would be considered QEE. I’m sure those equal well over $496. So should I be set? Can I factor that additional $496 I withdrew and attribute it to other QEE that I paid for with non-529 funds? Thanks again for all your insight. Seriously. And so quickly. Your straight talk is a welcomed relief because this 529 stuff is very confusing, in my opinion. If you have the receipts for qualifying expenses, you’re good to go. Just save them in case you’re audited or the IRS requests any information (which is rare), but there’s no need to report or prove anything otherwise until then. My daughter is attending a Jr. College for nursing. The program requires that she wear a nurses uniform. Can we use her 529 plan to pay for the uniform and stethoscope? If she has to buy a branded uniform from the college, then yes. If she can buy whatever scrubs she wants, no. The stethoscope is likely a no, unless again, she has to buy it from the school. Can 529 funds be used for tuition for a summer workshop at an accredited college? Is the workshop for credit? If so, yes. If not, no. This may have already been asked/answered but there were so many good comments that I gave up reading and just scrolled to the bottom of the page. We have an opportunity to engage a secondary education consultant who assists in college applications and in securing scholarships that may not be commonly known. Is there an opportunity to use 529 funds to pay for those services since it’s an expense towards the cost of higher education? Thanks. No, sorry. College application fees are not qualified education expenses (except for the one fee to the school you are accepted to), and any professional help for that also isn’t qualifying. Our son is attending community college and is down to two remaining classes. He has just enrolled in a personal trainer program (NASM), can the cost of the program be applied to his 529? Is the program at the community college? If so, yes. If no – is it accredited? If yes, then yes. If no, then no. My daughter is attending college on a full tennis scholarship. As she must provide her own tennis racquets and string in order to play to get her scholarship, are tennis racquet and string expenses deductible. No, that’s a recreational expense, not a qualifying higher education expense. I get it that it seems like they might be connected, but the scholarship requirements have nothing to do with a specific class’s requirements. Does an expense to take a ccrn exam and membership for a nurse qualify for 529 money? No, those aren’t qualifying education expenses – those are career/job expenses. I have leftover funds in my 529 from undergrad and would like to use the funds as part of my graduate education. I’m currently on a fellowship and my tuition is covered and I am provided a stipend for housing and food – so I can’t use the funds for these expenses. However, I am trying to present my research (part of my dissertation) at conferences. Would the 529 cover my conference registration fee (I know it won’t cover the travel to the conference)? Is the conference required attendance? If so, yes, if not, then no. My son will be studying at a qualified 4-year college listed in FAFSA, but will be earning his degree online. The school is in Boston, MA and he lives in Boulder, CO. How are his Room and Board expenses calculated since he doesn’t live at home, nor does he live in Boston? You would use the off campus amount from the COA on the school’s financial aid website. Can 529 funds be used for educational support during the elementary and secondary years from an outside business if the school is unable to provide the services? This isn’t tutoring but cognitive development training. A 529 Plan can only be used for elementary and secondary school tuition – nothing else. We used 529 to reimburse for my daughter’s laptop in August 2018 when she started at the university as a freshman. It is now broken, and we might need to replace it. Can we use 529 to buy a replacement? Can we use 529 to pay for the repair if it is repairable? Thanks! This post and the comments section are fantastic! If the computer is required, then you can reimburse from the 529 as a qualified expense (and today, almost all schools require a computer unless they provide one). A repair would also qualify since it’s to get the computer working. A computer does not need to be required in order to be a 529 qualified expense; the only requirement is that the computer is to be used primarily by the beneficiary during any of the years the beneficiary is enrolled at an eligible postsecondary school, and the expense can’t be for computer software for sports, games, or hobbies unless the software is predominantly educational in nature. Does the withdrawal have to be done the same year as the expense? I did not withdrawal all expenses last year but would like to do it now. Yes, it’s calendar year – so sadly you cannot make a withdraw now that counts for 2019. Anything you pull out now counts towards 2019. Would this qualify for 529 ? RISD is definitely a qualifying institution, but my concern is that Pre-College is not a degree-granting program. Does she receive any type of college credit for this? If yes, it qualifies. If no, it doesn’t (it would then be just like a summer camp). Can a 529 account be used for tuition costs for a Technical School such as Universal Technical Institute? How about a Trade program offered by a local union – ie: a plumbers program? Any accredited trade school is eligible. You would need to see if these schools or programs are accredited. Had a question on 1098T. The qualified expense it states on student does it include tuition and fees only or R&B also. The amount paid to school which includes R&B can be used for calculation? Also from year 2 when room is Univ housing for which you pay and food spent. Does the 1098T include the Room exp or not. Can we just take the total amount paid to Univ which may include some fees which may not be covered by 529. Food can we just take COA Food exp provided by the Univ or do we need to keep the receipts. Some times on week ends when we see them in college we pay for the dinner. Does not it look cumbersome esp when the allowance is somewhere around $350-400 per month. Some groceries the roommates also buy it together. A 1098-T should not include room and board expenses. It will only include payments received for qualified tuition and related expenses. What about the costs of obtaining an official college transcript from one college to send to a new college (for a student transferring an AA degree earned at a community college, to transfer the credits to earn the 4-year degree at university. Both institutions attended in same academic year and both qualify as accredited schools)? The official transcript (and not any unofficial copy) is required by the admissions office to transfer to the university. Yes, if it’s required for admissions that should qualify as long as you end up attending the school you paid the fee too. Is there a list of what is and is not covered as qualified expenses for special needs, or even what is considered special needs? My daughter is diagnosed with OCD, Generalized Anxiety and Cyclic Vomiting Syndrome. In high school this was considered special needs. As part of all of this, there are things that she cannot do like eating in a dining commons, share a bedroom, etc. I’ve been told that paying extra for her room and board should be covered as a special needs requirement. However, I don’t see a definitive list. What can you share on this? Or can you refer me somewhere, other than WWW, to find this out? Her unique requirements have no impact to what’s qualifying and what’s not. Tuition, room, board, etc are all qualifying expenses, and if you pay it to the university (whether it’s a single room or shared, etc), you can still claim it. Basically, the same rules apply. My daughter is independent and enrolled in her last semester of a master’s program. She was required to pay her spring 2019 semester expenses in December 2018. I distributed funds from her Coverdell to cover the expenses for Spring and Fall 2018 tuition as well as spring 2019 tuition and 2018 living expenses off campus (up to the amount specified by the school as ‘room and board’) in 2018. She will not receive a 1098-T in 2019 since her spring 2019 bill was paid in 2018; however, I would like to distribute off campus living expenses in 2019. Will she get taxed for the 2019 distribution? No tax implications as long as you have your documents to prove the expense, and you stay under the off campus COA from the school. The IRS might ask for supporting documentation if they do flag it – in which case, just send them your receipts! My son attends a military academy and was charged on his bill for mandatory uniforms by the school – related to their Corps of Cadets (not ROTC related). Is this a qualified expense for 529 purposes? “The following expenses must be required for enrollment or attendance of a designated beneficiary at an eligible postsecondary school. Since your son is attending a military academy and the uniforms are mandatory, I think a good argument can be made that in his situation, the uniform purchase is a qualified expense for supplies/equipment. I don’t think the uniforms are for an extracurricular purpose; they are likely an integral part of the academy’s overall academic program. My son is currently attending trade school, but it is being paid for by his high school. Until he graduates, he will technically be considered a high school student. Does this mean that he will be unable to use his 529 to make purchases such as a computer or software without a penalty until he gets his trade certificate and officially graduates from high school? If this is through his high school, he’s bound by the high school 529 plan rules. That means the only up to $10,000 specifically for tuition is considered qualifying.